Welcome to the MouseQuest Blog! All of us at the MouseQuest Podcast want to extend a huge ‘Thank You!’ to our listeners for making our show what it has become. We’ve been thinking about what we can do to reach even more Disney fans like you, and we are so excited to introduce you to the MouseQuest Blog! Each week, a member of our team will contribute a post on one of a number of Disney related topics. 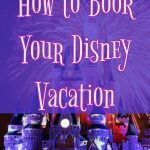 We hope you will join us for trip reports, reviews, top tens, Disney crafts and more! We look forward to welcoming you with open arms and continuing to be your Guide in the Quest for the Perfect Disney Vacation!